The Littoral Combat Ship (LCS) Surface Warfare Mission Package successfully completed the second phase of its developmental testing, on board the USS Fort Worth (LCS3), the Naval Sea Systems Command announced. 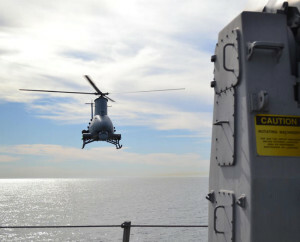 The test events demonstrated the ship’s ability to detect, track and simulate engagement of air and surface threats. 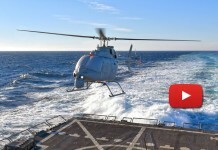 Following the tests conducted on the last week of October the vessel deployed again to the Point Mugu Test Range, testing dynamic interface with the MQ-8B FireScout the Navy’s Vertical Takeoff Unmanned Aerial Vehicle (VTUAV). 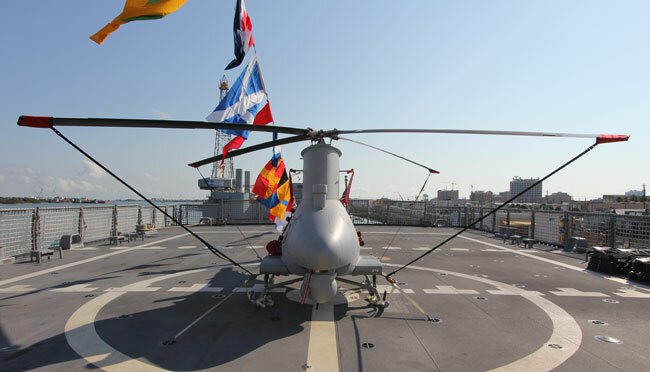 Although Fire Scouts have been used in the fleet onboard frigates, LCS is the first platform designed from the keel up to integrate and operate these unmanned helicopters. 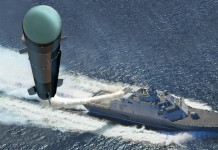 The LCS’ surface warfare mission package is designed to defeat small boat threats and also provides the capability for the ships to conduct maritime interdiction operations. 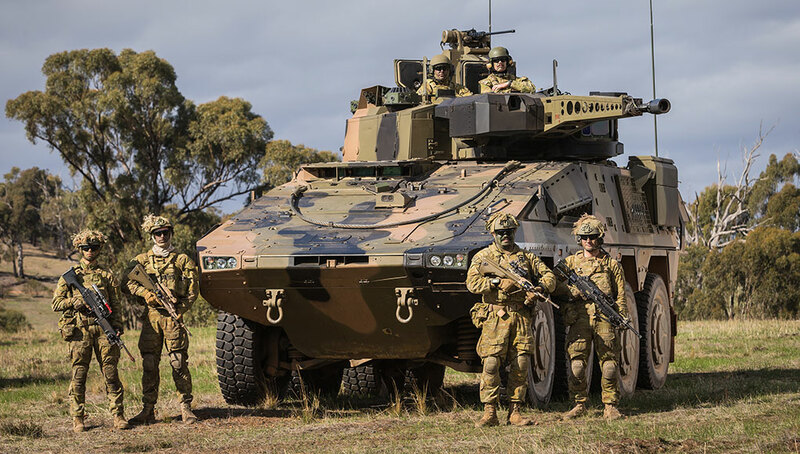 The package consists of two 30mm guns, two 11-meter rigid hull inflatable boats, an MH-60R helicopter, a 19-person surface warfare detachment, and a 23-person aviation detachment. 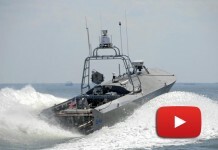 The LCS’s permanent 57mm gun, and its speed and maneuverability, coupled with the 30mm guns of the SUW MP, provide the LCS a significant advantage over small boat threats. The final exercise was a live-fire event, where the ship demonstrated the ability to defend itself against several attacking speed boats. 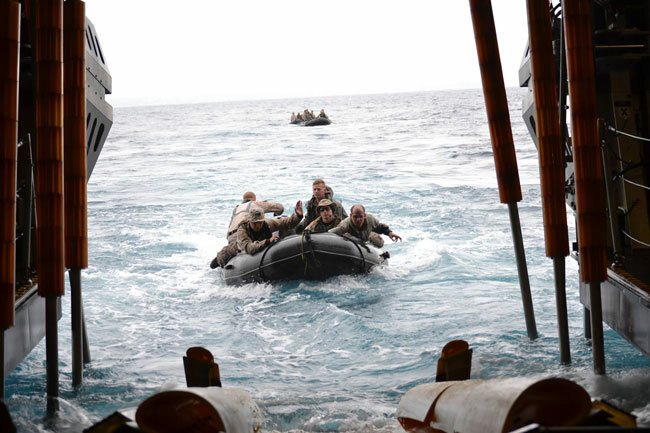 These boats were identified as a threat by the ship’s helicopter, which passed the information to the ship. Fort Worth then successfully engaged all targets with both the 30mm and the 57mm gun weapons systems, which reduced the attacking boats to smoking hulks. 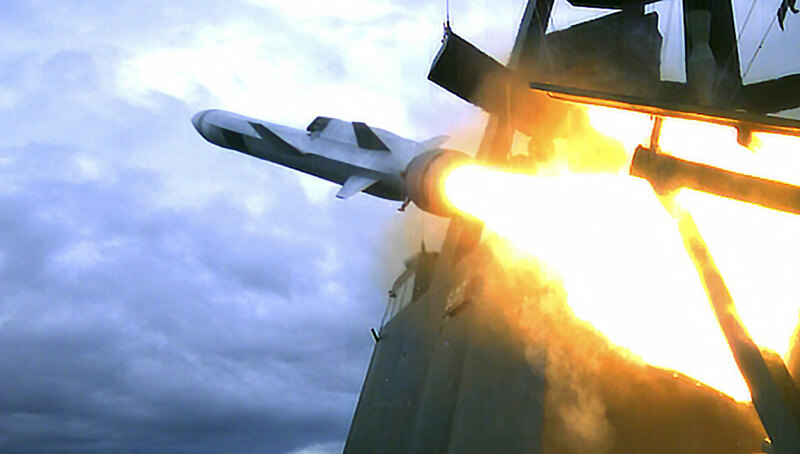 The Initial Operational Test and Evaluation for the surface warfare mission package will be conducted in early 2014, and will be the final step in achieving initial operational capability. 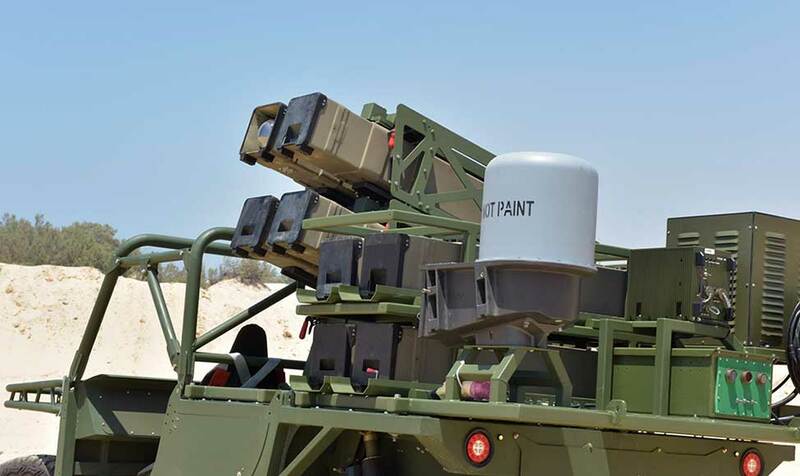 The combined capability of LCS and LCS mission systems is designed to dominate the littoral battle space and provide U. S. forces with assured access to coastal areas. 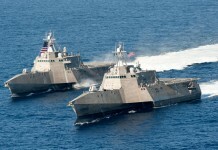 The LCS mission packages are managed by PEO LCS, under the Naval Sea Systems Command, providing a single program executive responsible for acquiring and sustaining mission capabilities of the littoral combat ship class, from procurement through fleet employment and sustainment. 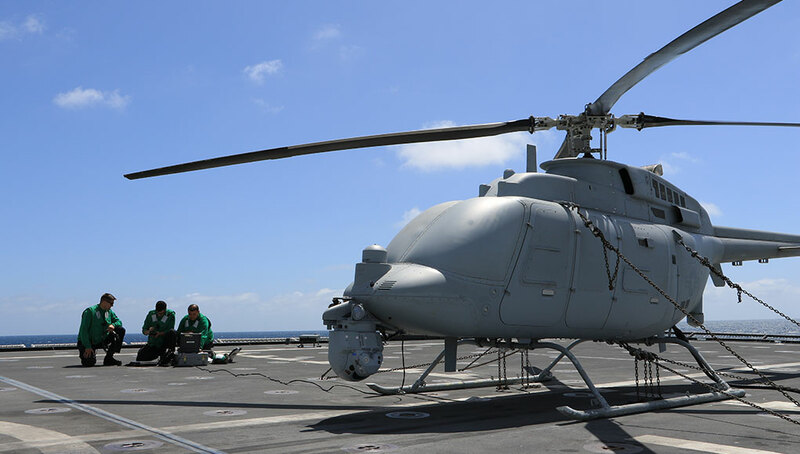 The MQ-8B FireScout is equipped with advanced electro-optical payloads that can extend the range of the ship’s sensors and greatly increase maritime awareness by relaying information back to the ship via data link. 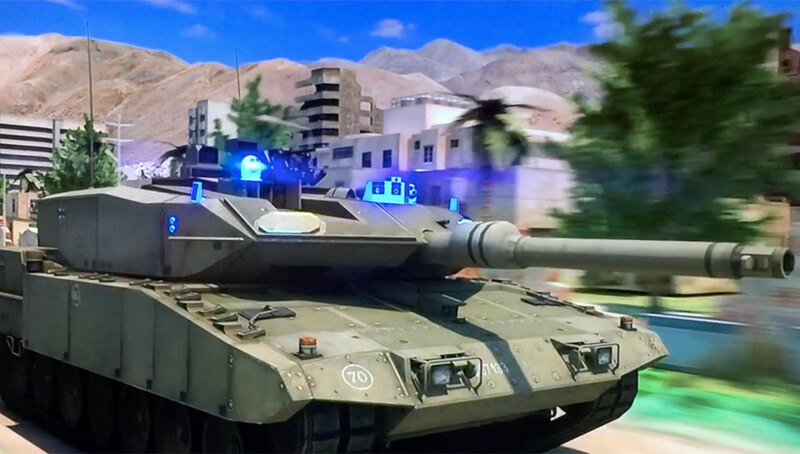 Fort Worth is scheduled to deploy next year with “The Mad Hatters” of HSM-35, Det. 1, the Navy’s first “composite” Air Detachment which will include both a manned SH-60R helicopter as well as unmanned Fire Scouts. 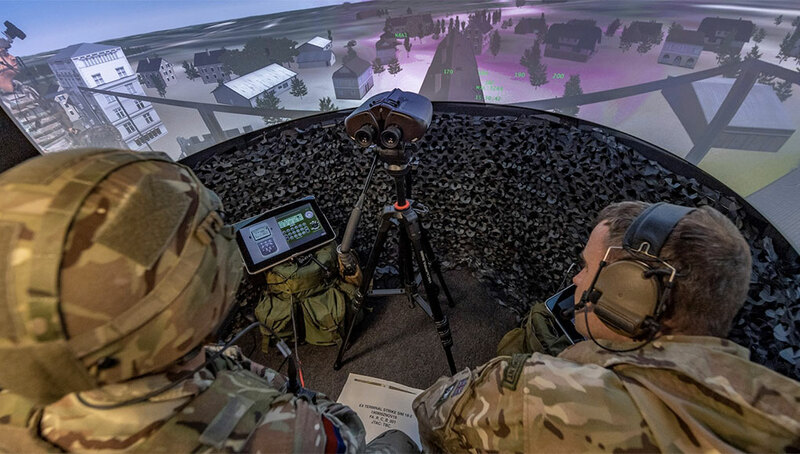 “Everything from the consoles in MCC (Mission Control Center), the displays, and antennas to the flight deck and UCARS were made for us to interface with Fire Scout” said Lt. Mike Chesnut, the combat systems officer for LCS Crew 104, “The Juggernauts”, who are currently the “on-hull” crew for Fort Worth. UCARS is the UAV Common Automated Recovery System, a present day “tractor beam” that locks on to the Fire Scout from miles away and brings it safely on deck without human intervention. 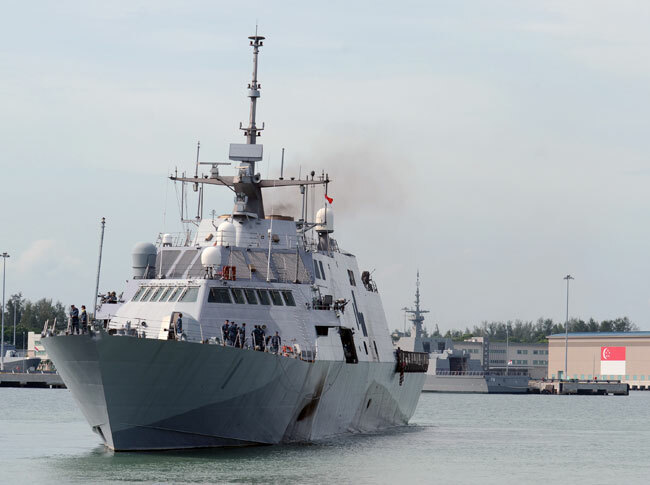 Meanwhile, USS Ft Worth’s sister ship, USS Freedom (LCS 1) has departed Singapore’s Changi Naval Base yesterday, Nov. 16, for the final time as part of her maiden overseas deployment to Southeast Asia. Freedom has used Singapore as a logistics and maintenance hub since arriving there April 18. Though Freedom is departing Singapore, she is expected to remain in the region over the coming weeks before beginning the transit back across the Pacific Ocean to her homeport in San Diego. Prior to getting underway, Freedom accomplished repairs to the feedback cable in the port steerable water jet which delayed her participation in exercise Cooperation Afloat Readiness and Training (CARAT) Brunei. All waterjets are now functioning normally, and Freedom still expects to conduct a brief port visit in Brunei as part of the exercise. As many senior Navy officials noted recently, the maritime crossroads and vital waterways that connect Southeast Asia to the global economy are exactly where the Navy needs to be present, now and well into the future. 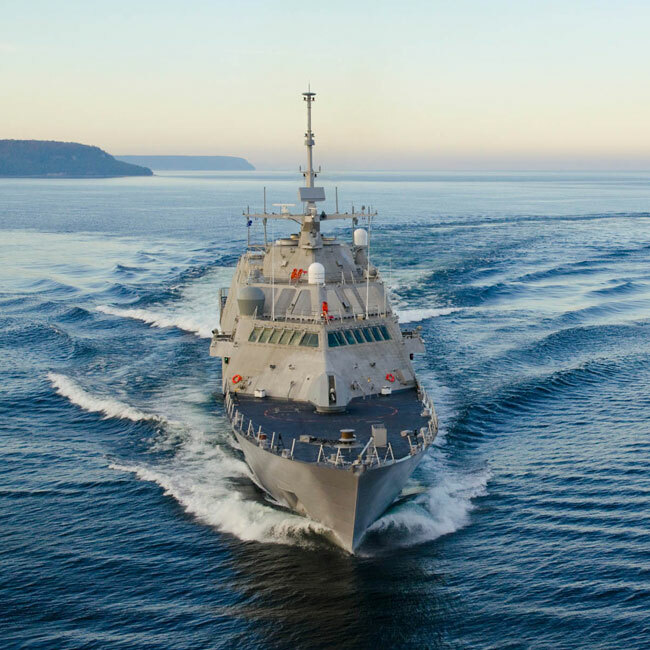 Rotational deployments of littoral combat ships will help the Navy sustain presence, expand access to vital waterways and interact with littoral regions in unprecedented ways.